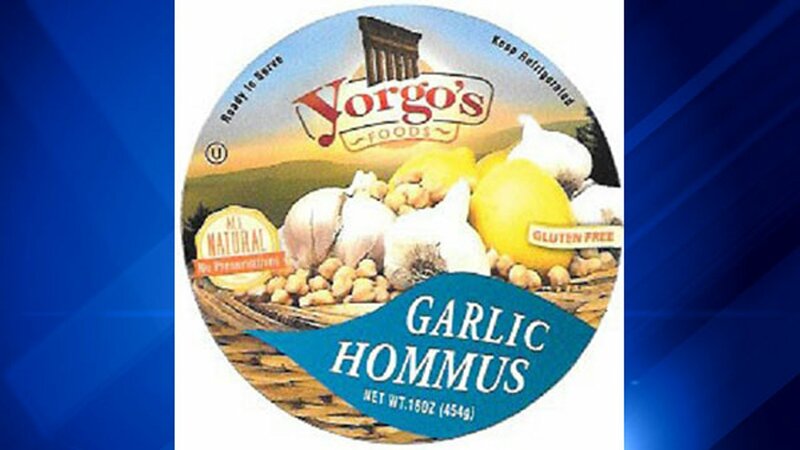 CHICAGO (WLS) -- Greek-style food products from Yorgo's Foods were voluntarily recalled for potential listeria contamination, the Kane County Health Department announced Thursday. The products, which include hommus, yogurt dips, grape leaves, tzatziki, salads, and other Greek-style food products, are distributed to retail stores all over the country. Most of these products were distributed in 8, 12, 16 and 32 ounce plastic cups or 2 and 5 pound plastic bags, according to the U.S. Food and Drug Administration. The Kane County Health Department and the FDA said although no illnesses have been reported in connection with these products, consumers who have purchased any of the effected products should discard the products or return them for a full refund. Listeria can cause serious and sometimes fatal infections in pregnant women, young children, and elderly people. A listeia infection can cause even healthy individuals to suffer from fever, headache, stiffness, nausea, abdominal pain and diarrhea, the FDA said. For a full list of recalled products, click here.